Summary from Goodreads: Haunted by recurring nightmares since her mother’s disappearance over the Indian ocean three years before, fifteen-year old California girl Sienna Jones reluctantly travels with her psychiatrist father’s volunteer team to six-months post-tsunami Indonesia where she meets the scarred and soulful orphaned boy, Deni, who is more like Sea than anyone she has ever met. Another book with a great cover! 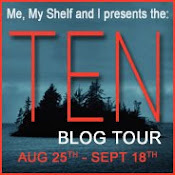 If I saw Sea on the shelf at the bookstore (or library) I would definitely pick it up. I love the blues and the sun glinting off the water at the top. And of course, the couple - I wonder if that is Deni or Spider with Sienna. It looks like Sea will be a great romance/mystery. I wish it was June already! Great pick! I can't wait for this one too. Love the cover. It is a book I would buy just because the cover. The summary sounds great too. I have to agree, I wish June was a bit closer after seeing this novel! Awesome pick! This IS a good cover...great pick! Oh the cover is awesome. Great pick. My WOW is at The Crowded Leaf. Yes, this book sounds amazing. Love the cover, adore it! So sweet and romantic. That is a beautiful cover and I have a feeling that the story will be very moving. Here is my Wow pick. I just got the Dark Divine in the mail. I can't wait to jump into it! 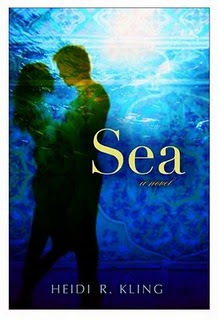 Sea does have a great cover. It pulls you in all on its own! This looks really great! I wasn't aware of this book until now, and the cover makes me want to book a trip south. I'm a new follower. I'm curious as to what you think of Incarceron. It sounds very interesting and I too think the cover is gorgeous! Use the last example with the scrolling links. Just take out the background color or it will be blue. Hope that helps!